Transfer from Hoi An to Ba Na Hills by private car with professional driver takes around 2 hours and 15 minutes (67 kilometers) and is the fastest, most comfortable and most convenient alternative to over-priced taxi when traveling between the two locations. Traveling from Hoi An to Ba Na Hills by car is safe and affordable and also give you a chance to know more about the local life, Vietnam Culture! Additionally, you also have the opportunity to visit some unmissable attractions when traveling from Hoi An to Golden Bridge Ba Na Hills. Transfer from Ba Na Hills to Hoi An is the same price with Hoi An to Ba Na Hills. After stopping at all your requested destinations, our experienced and friendly driver will drop you off at Ba Na Hills! 1. Does your company have limited time to visit if we want to rent a private car from Hoi An to Golden Bridge? 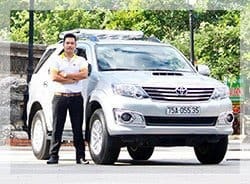 – For the private transfer such as Hoi An to Golden Bridge, that price per car not person which included an English speaking driver; 24/7 chat, email or call support; toll and airport fees and charges, door to door service; free Wi-Fi on board and bottle of water. 3. How long does it take from our hotel in Hoi An to Ba Na Hills? The transfer from Hoi An to Golden Bridge Ba Na Hills, It takes about 2.5hours if you go direct but if you want to stop for taking pictures at many places on the way it would be longer than. And actually it depends on how long you spend time for each stops. 4. What happen if unfornately we canceled the transfer from Hoi An to Ba Na Hills? 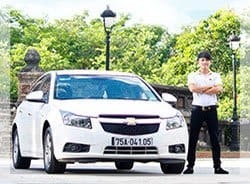 You can cancel your booking without any fees charge with the private car from Hoi An to Ba Na Hills but only for one day before your trip starts. After that time, you’ll pay for the fee charges. 5. Does your driver can speak English if we want to know something during our trip from Hoi An to Golden Bridge by car? Yes, they can. We are always so proud of our drivers who can speak Basic English communication or better but they are not tour guides so they have limitation. If you take the private car from Hoi An to Golden Bridge, you will stop at Marble Mountains (upon request), My Khe beach and our drivers also can give you some information about each place. We will be continue delivering excellent services for you. 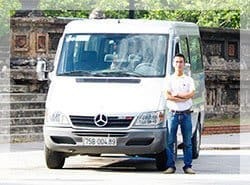 With Hoi An to Ba Na Hills transfer, all drivers wear our company uniform and will inform your hotel reception upon their arrival. The booking confirmation email also states information regarding pick up location, time and date of our rental. In case you are not still able to reach the driver or locate the office, you can anytime get in touch with our support team via call or email. We booked a private car from Hue to Golden Bridge Ba Na hills with VM Car, and were pleased with the professional service. Though we booked the car very close to the departure time, the company could still arrange a nice car and driver for us. The driver, Mr. Dung was on time to pick us up at hotel in Hue and stopped for us at many places on the way before Ba Na hills. He smiled all the time and never complain anything. Really friendly. I highly recommend this company, and will use them again on my next visit to Central Vietnam. I am so happy with the service at VM Car. The response was extremely fast and the booking was also confirmed easily via email. Our trip by private car Hoi an to Ba Na hills were very safe and comfortable thanks to our driver Mr. Johnny. Johnny has a good English and could tell me a lot of things about his country. He also suggested some places that I should visit in Vietnam, which is highly recommended. Thank you again for all your effort. 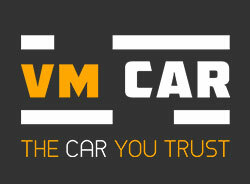 If you are looking for an option for your trip, contact VM Car and ask for Johnny. I would definitely use this service again for future visits. We contacted VM Car to book a private car from Hoi an to Ba Na hills and come back some days ago. The online support was really quick. Driver came on time and was very friendly, and able to communicate in a good English. We told him that we would finish visiting Ba Na hills at 2pm and come back to the car then, but we were 1 hour late. He was still there, patiently waited for us for a long time without complaining. Highly recommended this company. We emailed the company in the evening with our request for transport to Ba Na Hills from Hoi An and back. We received a fast response via email confirming clearly pricing and timings for our trip the next day. Our driver arrived early to collect us, he was polite and friendly. A staff from the company called us while on the trip to check everything was fine. Our driver (Mr Anthony) dropped us at the door, waited for us and collected us as arranged. Over all very contented. Found this company on internet and I decided to send an email for a car from Hoi an to Ba Na hills Da nang. Mr. Vinh replied my email very quickly and showed me the itinerary and price clearly. He also gave us some advice for my future trips, which I really appreciated. Driver was really friendly and could speak good English. The trip takes about 1,5 hours, and everything ran well. Highly recommended!